This blog follows the buy-to-let market in Maidstone. 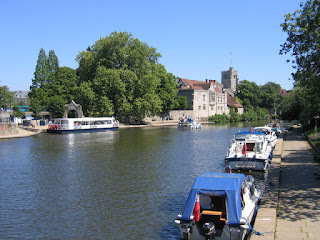 You'll find tips, guidance, and analysis that relates specifically to Maidstone and you'll also find properties from all the estate agents in the town on here that may make decent investments. I own and operate Seekers Homes, a Maidstone Estate Agent, and if you're thinking of buying a property to let in Maidstone, I'm happy to offer a second opinion. As I mentioned in a previous article, the average house price in Maidstone is 9.68 times the average annual Maidstone salary. This is higher than the last peak of 2008, when the ratio was 8.47. A number of City commentators anticipated that in the ambiguity that trailed the Brexit vote, UK (and hence Maidstone) property prices might drop like a stone. The point is - they haven’t. Now it’s true the market for Maidstone’s swankiest and poshest properties looks a little fragile (although they are selling if they are realistically priced) and overall, Maidstone property price growth has slowed, but the lower to middle Maidstone property market appears to be quite strong. 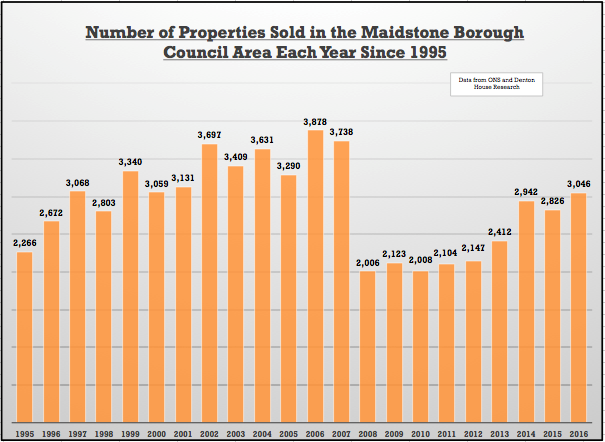 Even though we are not anywhere near the post credit crunch (2008 and 2009) low levels of property sales, the torpor of the Maidstone housing market following the 2016 Brexit vote has seen the number of property sales in Maidstone and the surrounding local authority area level off to what appears to be the start of a new long term trend (compared the Noughties). Interestingly, it was the 1980’s that saw the highest levels of people moving home. Nationally, everyone was moving on average every decade. Even though it was during the Labour administration of the late 1970’s where the right to buy one’s council house started, it was the Housing Act of 1980 that that really got council tenants moving, as Thatcher’s Tory government financially encouraged council tenants to buy their council-rented homes - for which countless then sold them on for a profit and moved elsewhere. The housing market was awash with money as banks were allowed to offer mortgages as well as the existing building societies, meaning it made it simpler for Brits to borrow even more money on mortgages and to climb up the housing ladder. 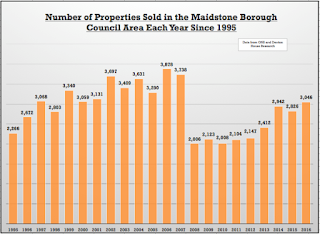 But coming back to today, looking at the property sales figures in the Maidstone area since 2010/11, a new trend of number of property sales appears to have started. Interestingly, this has been mirrored nationally. The reasons behind this are complex, but a good place to start is the growth rate of real UK household disposable income, which has fallen from 5.01% a year in 2000 to 1.68% in 2016. Also, things have deteriorated since the country voted to leave the EU as consumer price inflation has risen to 2.7% per annum, meaning inflation has eaten away at the real value of wages (as they have only grown by 1.1% in the same time frame). With meagre real income growth, it has become more difficult for homeowners to accumulate the savings needed to climb up the housing ladder as the level of saving has also dropped from 4.26% of household income to -1.11% (i.e. people are eating into their savings). Next week I will be discussing how these (and other issues) has meant the level of Maidstone people moving home has slumped to once every 14.5 years. Hi and thank you for visiting this blog. I have been in the Maidstone Property market since 2004, recently owning and running with my excellent colleagues, the Seekers Homes office in Maidstone. I have always shared my thoughts on the local property market in Maidstone with my landlords, but now I want to share with everyone in the town. On this blog, I will talk about what is happening in the town's property market itself, even looking at specific streets or housing estates. At other times, I will post what I consider decent buy to let deals. I like to look at the whole of market and give you, what I consider the best investment opportunities. 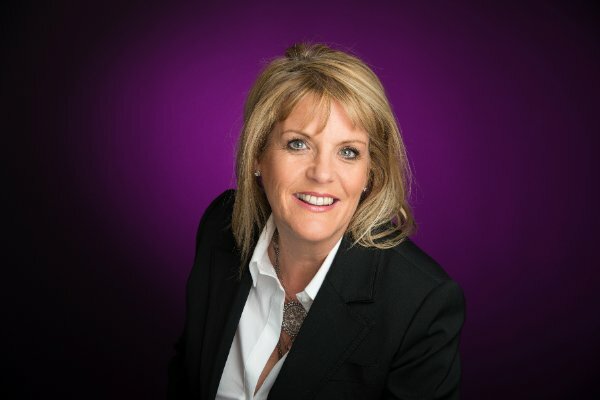 If you see a potential deal, and want a second opinion, without hesitation, email the Rightmove link to claire@harvey41.co.uk I will always give you my honest opinion on the property and its investment potential. (both good and bad). On line Estate Agents have been accused of publishing incorrect property sales figures. THE PAST, CURRENT & FUTURE OF THE MAIDSTONE PROPERTY MARKET.